I have to admit, this card turned out this cute, kinda by accident. I really was having a hard time picturing how it would all mesh (even with the sketch, which I flipped vertically) , but once I started laying the prepared elements on the page, I LOVED it! Oh so cute! Great job! This is so cute, the little mouse is adorable and I love the papers you used. Beautiful card, love the image. Thanks for joining us at Do You Stack Up. What a great card and image. You have coloured that mouse perfectly Sara! I can't believe you made that sentiment, I love it. 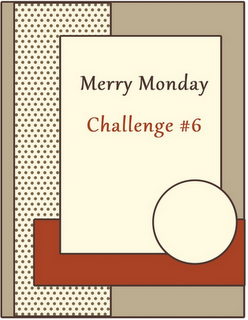 Thank you for joining me at Merry Monday, I really enjoy visiting your blog. So pretty, Sara! I'm not sure where I've been (except super busy) to see that you have started this blog and store. I am so looking forward to seeing your new images and your completed works!! Gorgeous Christmas card, Thank you so much for entering our FREE & EASY challenge at ALLSORTS this week, good luck & hope you’ll join us again! Oh this is so adorable!!! !Thanks for playing along with us at Ribbon Carousel!!!! Totally adorable!! Love that image!! Thanks for playing at The Ribbon Carousel! !